create your own mission-driven shared space? Get comfy as we deliver great content via our first online course. That’s right — all the resources, tools, collaboration and guest speakers live from your computer. 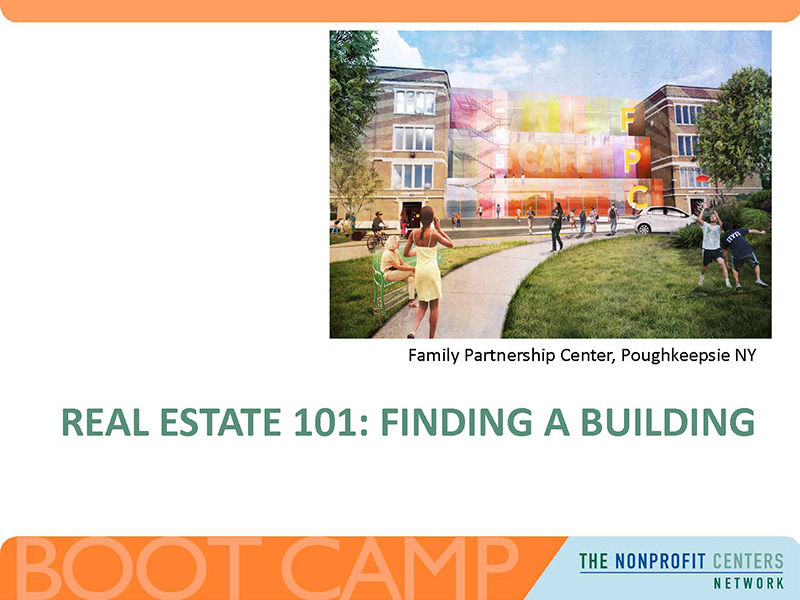 During this Boot Camp, our shared space experts will explain what’s worked, tricks of the shared space community and how you can put these very practices in motion at your center. 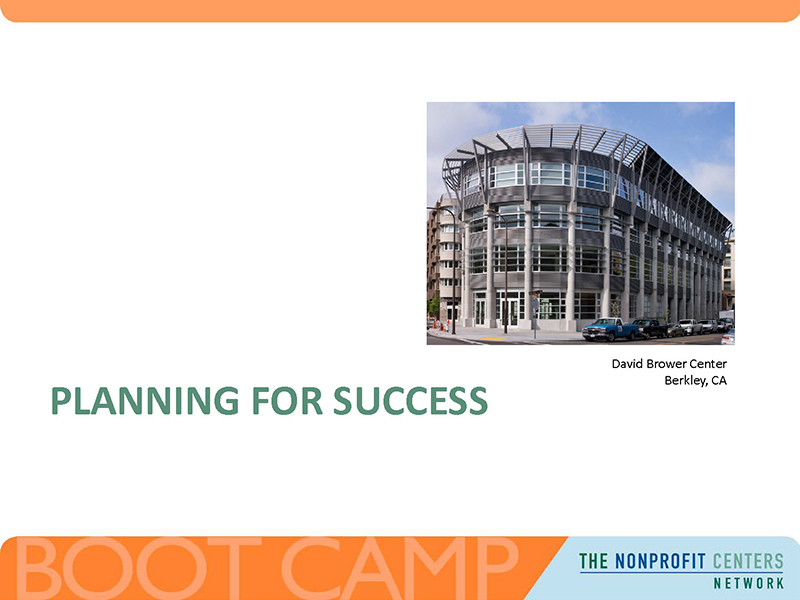 This training provides you with a road map for creating your own thriving shared space. where the field is headed. In the mission and vision segment, our experienced leaders will explain the importance of clarity of mission and vision to the planning process. The real estate session will define what you need to know before speaking with a broker, and how to assemble a team of experts. 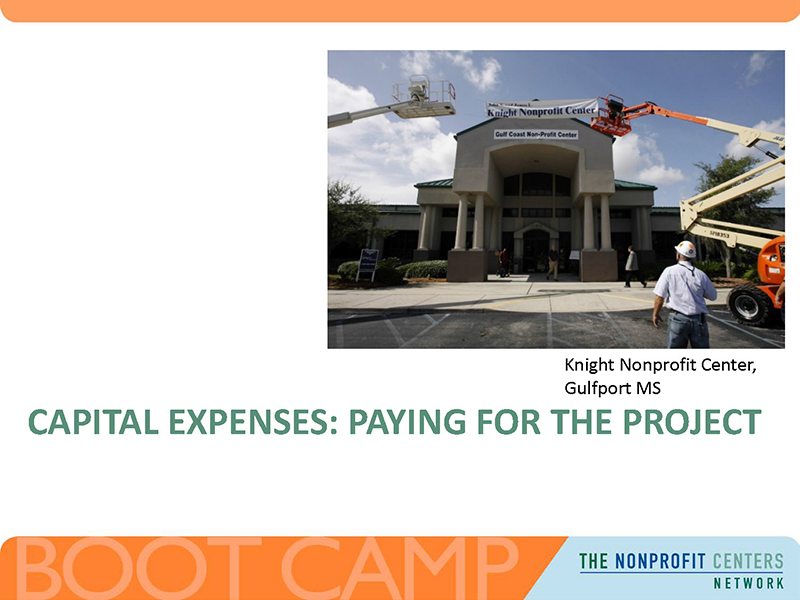 NCN will also walk you through the many sources of capital funding, ranging from capital fundraising campaigns to taking on debt. In addition, we'll discuss unique components of the business model of shared space, like occupancy levels, load factors, resource allocation and how best to optimize space usage. 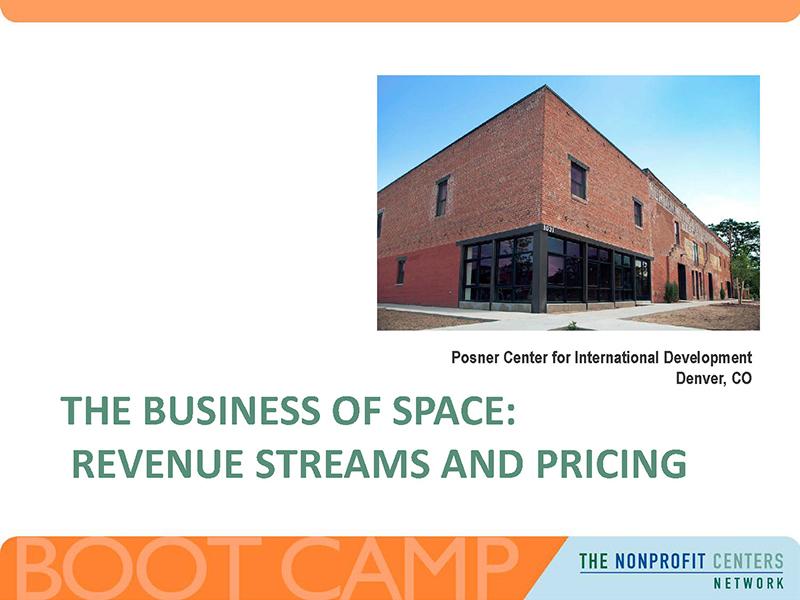 Once you’ve grasped the essentials of shared space, we’ll take a deep dive into how to maximize the revenues of operating a center with a mission driven business model. 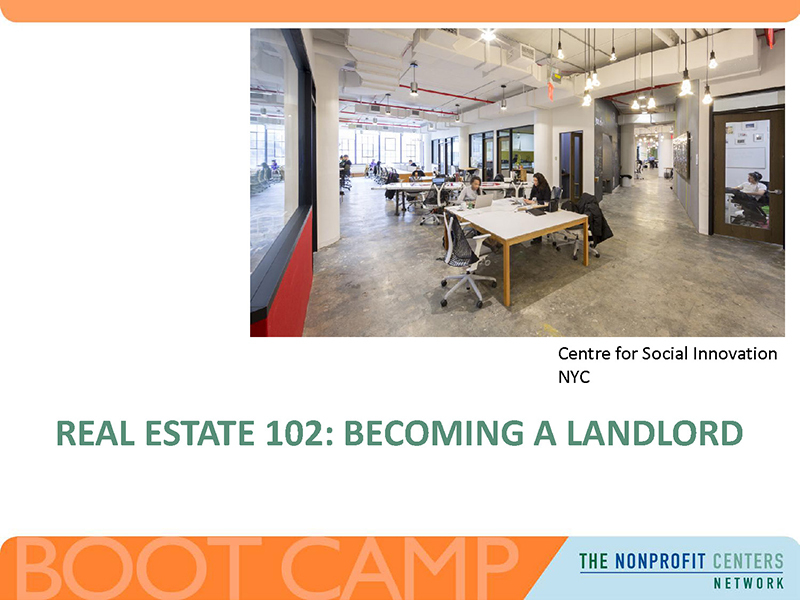 This session will help you understand the many ways shared spaces can make money, including event rentals, coworking, and other innovative ideas. 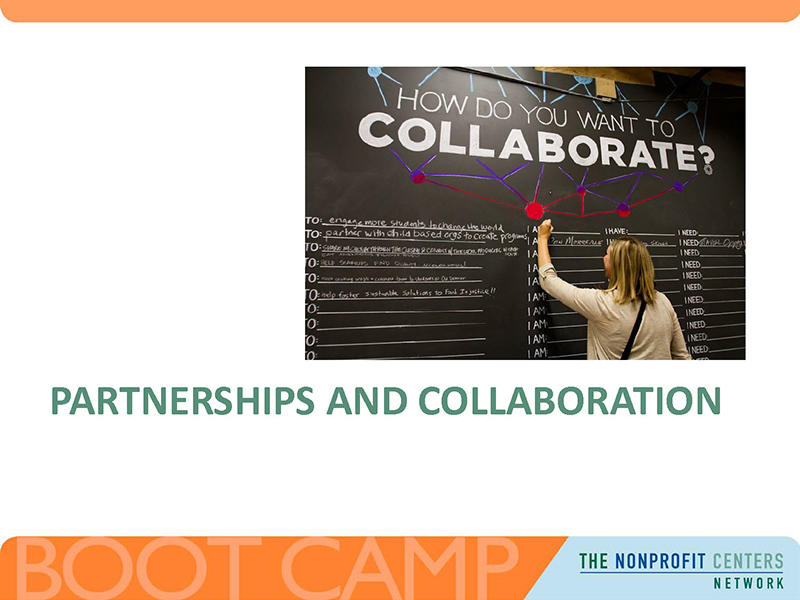 We will also discuss what makes a good partner, teach you to map your networks, and discuss a variety of tools you can use to catalyze collaboration in your center. 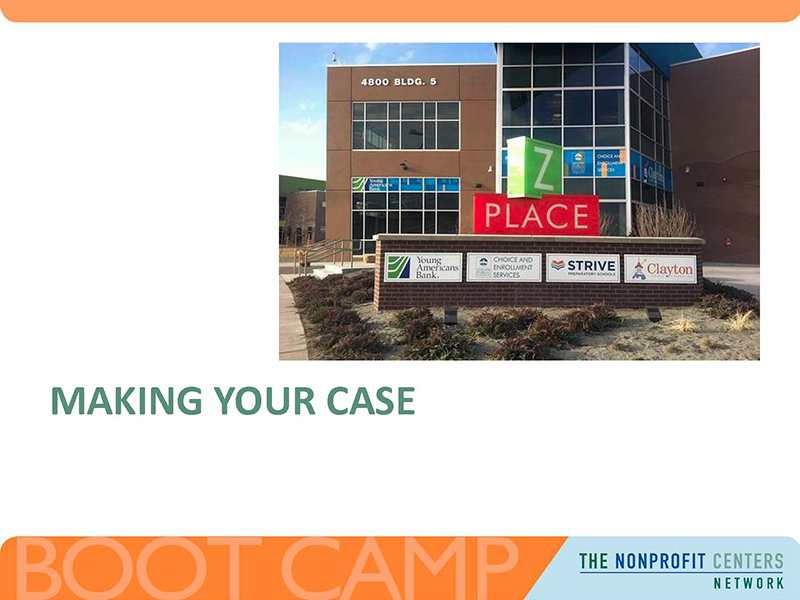 We’ll discuss different ways that nonprofit centers have explained their model, and give you tips for refining your project pitch. You'll also get to hear first-hand from someone who has been there and done that with a case study from the Literacenter. No Traveling, Watch at Your Own Pace, From Anywhere! If you are working with a group, we recommend that you take up to six months to work through all of the course activities with your collaborative partners, do research on your local market, and set yourself up for success. You can take the course at your own pace. If you’re an individual working alone, you can do the course at a much faster pace. See the breadth of the field of shared spaces and learn about models available across the US and Canada. Learn the importance of clarity of mission and vision to the planning process. Understand the components of a needs assessment and how it shows potential funders and partners you mean business. Shared space is different from traditional real estate. Learn how! Once you know how much space you need, where does the money come from? Transform your building into a place-based social enterprise as you become a commercial landlord. Take a deep dive into maximizing the revenues of operating a shared space with a mission driven business model. Hear first-hand from someone who has been there and done that. 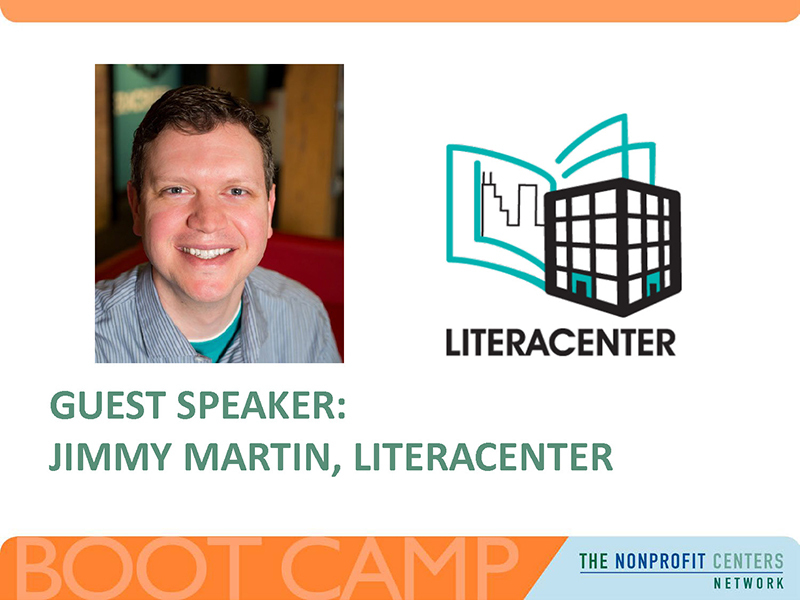 Jimmy Martin takes you inside the story of the Literacenter. Partnerships make shared space special. Learn what makes a good partner, map your network, and see tools to catalyze collaboration. Who decides who decides? The hierarchy of governance and decision-making isn’t as straightforward in the shared space realm. We know shared space can be a challenging concept to explain. 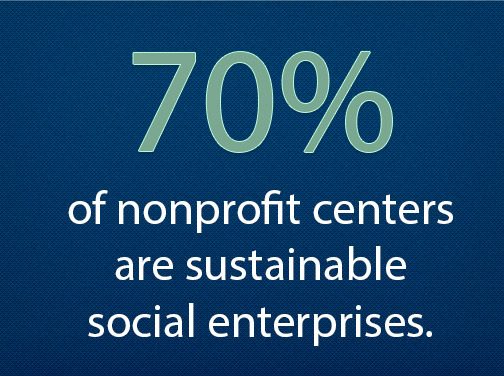 See how nonprofit centers explain their model, and refine your project pitch. Congratulations, you’re done! Now what’s next? It's pretty simple! Just fill out our registration form and we'll guide you through the rest. 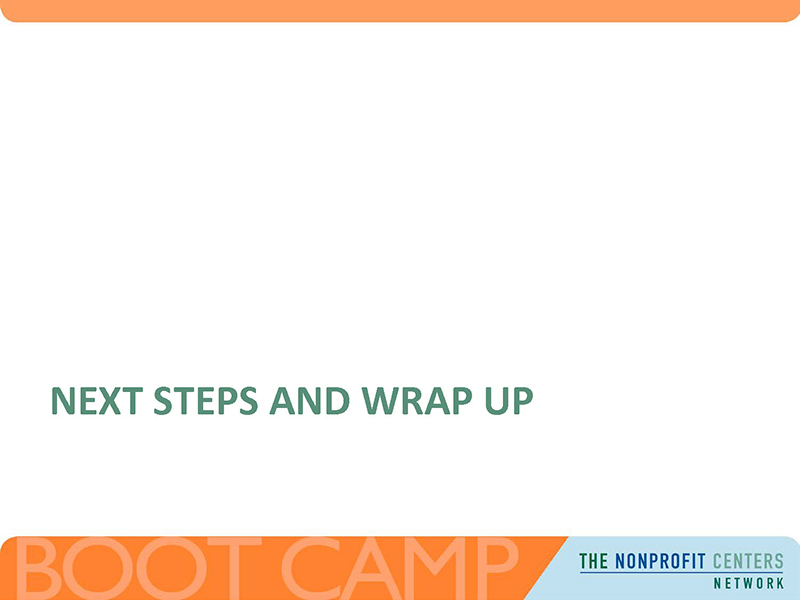 You'll get immediate access to our Boot Camp webpage with all the info you need. You'll also be emailed a PDF booklet and a checklist to keep you on track. 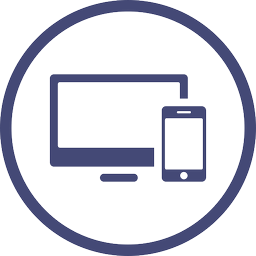 You can access the modules from your desktop or smartphone and work at your own pace within your access time period. 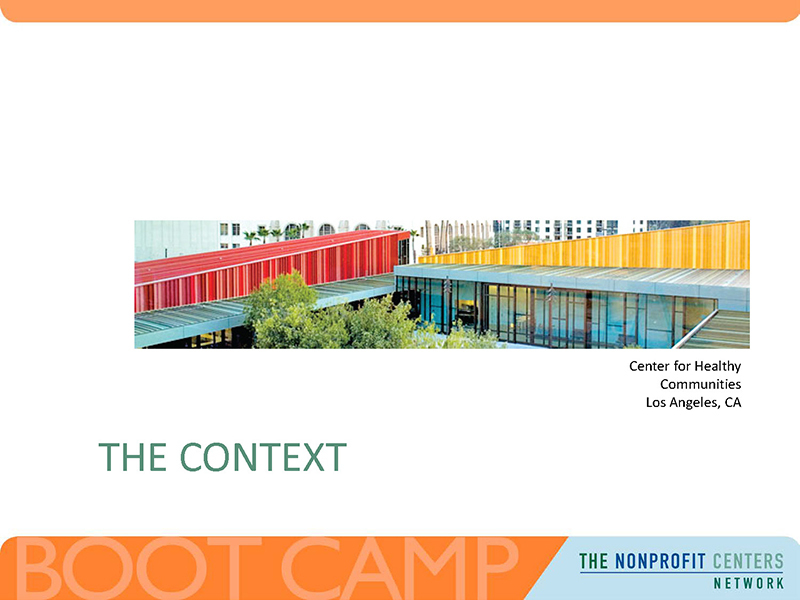 Expert understanding of what it takes to develop and operate a nonprofit shared space. 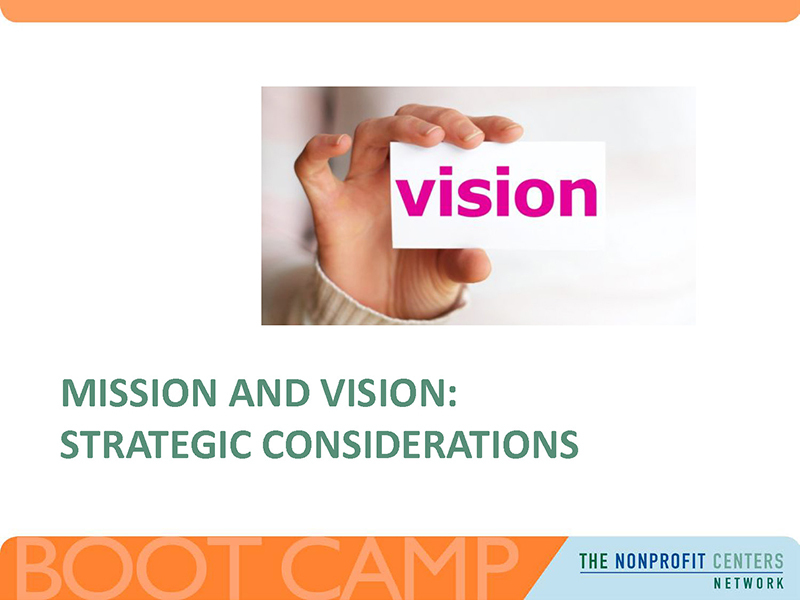 Nonprofit Leader: From vision to actual space, you will learn the steps towards partnership, shared vision, budgeting, raising funds, real estate and decision making with multiple entities. Board Leader: Help your nonprofit by learning how to support each step along the way in a smart, creative, and financially responsible manner toward achieving a shared space. 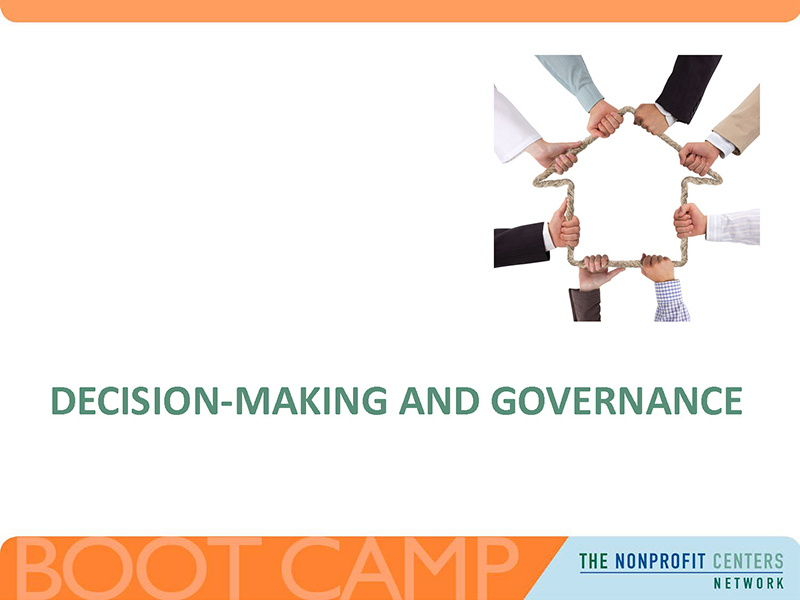 Funder: Learn how to assess the needs of your community, what resources will be needed to provide for the organizations that serve them and ultimately make nonprofits more financially efficient in achieving that goal. Government Employee: Discover creative solutions that assess and address the needs of your community and gather stakeholders and leaders to collaborate on a space for organizations to execute their missions effectively.